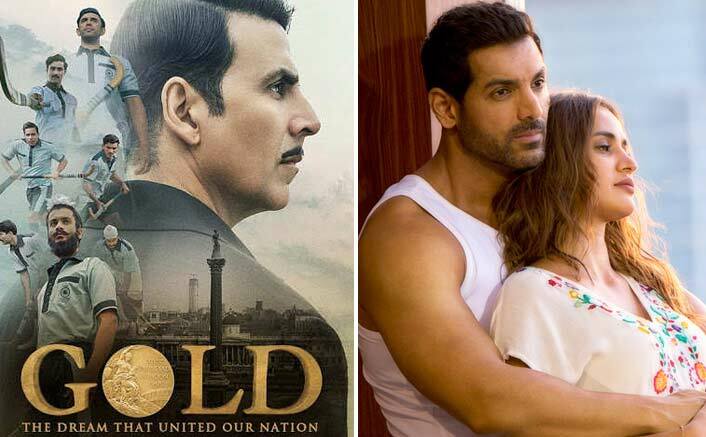 Gold VS Satyameva Jayate Box Office: John Abraham’s Satyameva Jayate and Akshay Kumar’s Gold hit the theatres on August 15 and both the films have been digging goldsince then. Due to the national holiday, both the films enjoyed a good run at the box office. Gold & Satyameva Jayate have proved that not every clash is a bad one. Not only commercially but both the films have been received well by the critics too. Today, audiences are the real king, and the positive word of mouth has worked in the favour of both the films. Talking about Satyameva Jayate, the film has had a bumpy ride at the box office. On its first day, it started with humongous collections of 20.52 crores whereas the 2nd day saw a huge drop as it raked in 7.92 crores. It saw a low as it was a working day. Again on Friday, it gained the momentum as it collected 9.18 crores. It stayed constant on Saturday too by collecting 9.03 crores and it saw an upward trend on Sunday as it collected 10.26 crores. This John Abraham starrer now stands at the total collections of 56.91 crores. Akshay Kumar’s Gold too saw a similar trend in terms of box office. On its first day, the film did tremendously well as it raked in 25.25 crores and then it saw huge drop on the 2nd day by collecting 8.10 crores. On Friday, it saw some upward trend by collecting 10.10 crores. On Saturday, it enjoyed a good run as 12.30 crores came in and Sunday too, it had great run as it collected 15.55 crores. Now, the film stands at the total of 71.30 crores. Well, both the films are earning well and they can enjoy a good run at the box office since there is no huge film releasing in the coming days.